Astronaut David Dixon's first mission to space goes horribly awry when a gunfight breaks out on a Russian space station. He finds himself making an emergency landing from orbit and becomes the most wanted man on Earth. Desperate to unravel the plot he's found himself in, he takes his pursuers on a wild chase from space to the backstreets of Rio and beyond. Dixon's survival relies on his skills as a pilot and willingness to do whatever it takes. The desperate father of a missing child, ignored by the authorities and abandoned by his community, turns to Theo for help. The only clues are children's drawings and an inner-city urban legend about someone called the Toy Man. To unravel the mystery behind the Toy Man, Theo must set aside his scientific preconceptions and embrace a world where dreams and nightmares carry just as much weight as reality. 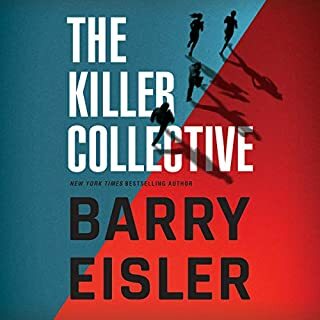 As he becomes immersed in the case, he discovers a far-reaching conspiracy - one that hasn't yet claimed its last victim. This is the second book in Mayne’s Naturalist series (that was the name of the first book), about Dr. Theo Cray, a former professor whose combined expertise in biology and computer analysis and ability to spot patterns that no one else sees helped him identify a prolific serial killer of young women and brought him to the (mostly positive) attention of the intelligence community. Here he hunts a second killer, the Toy Man, whose preferred victims are young boys. It would be a good idea to read the first book before you read this one, both to gain useful background on Cray and because the author repeatedly refers to the murderer in the first book by name, so you will lose some of the suspense in that book if you read it after this one. Unquestionably this book is a very good thriller: think Jonathan Kellerman with fewer interviews, a sprinkling of “spook” (as in spy, mysterious agencies with alphabet-letter titles) stuff, and some really cool science (fluorescent bacteria! CSI, eat your heart out!). The villain is certainly a quintessence of Evil, and the hunt for him is definitely suspenseful. However, at least for me, the book did not reach the almost painful level of intensity that the first volume did, nor was the character development as complex. In short, very good, yes; outstanding, no. Mayne can do better. This author can write one heck of a good suspense/thriller. It's under the heading of techno and I can only guess because the protagonist has a doctorate in biology. This is book #2 on the Theo Cray series. It is fantastic. The first book hooked me and I had hoped that this series did not begin with a one hit wonder. It didn't. This book begins with an albino child being taken from his village. Jump ahead and Theo is plagued with callers who want him to find their missing loved ones. He gained notoriety in the previous book for locating murder victims missing for many years. Now a man approaches Theo and asks him to locate his son's murderer from 10 years ago. Whet Theo finds after agreeing is horrifying. He locates the house in South Central LA that has bones of children rising to the surface of a yard 17 bodies are found. Using a computer is program he wrote he's able to find a pattern in a killer that children have called the Toy Man. This book is written at a fast pace. I've been waiting with bated breath since The Naturalist came out. I was not disappointed, the book is fantastic. I can not wait for the next. Will Damron does an outstanding job narrating. His portrayal of women is great! Even better than the first book. Gripping and unexpected with entertaining theories. Mortified by the tale, but I couldn't put it down. ...do not take the science seriously; it is mostly a product of the author's imagination. 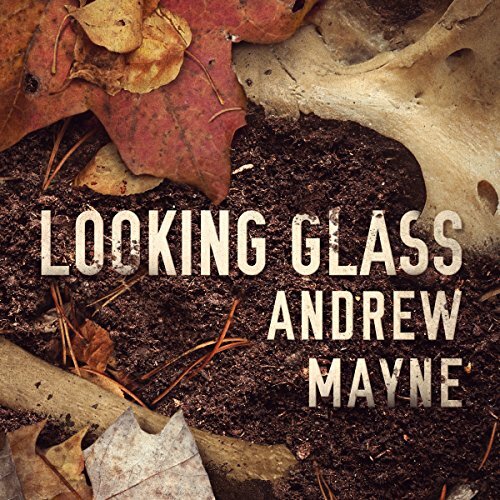 Looking Glass in Book 2 on author Andrew Mayne's The Naturalist/Professor Theo Cray series. 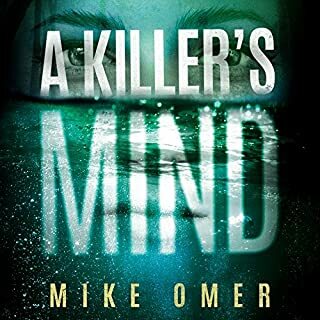 This novel is about the hunt for a prolific serial killer known as Toy Man. The novel is far less plausible than, but just as entertaining as, The Naturalist, Book 1 in the series. 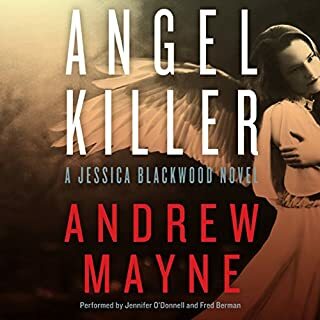 Unlike Mayne's Jessica Blackwood FBI series, The Naturalist series does not include supernatural characters like warlocks, witches, ghosts, zombies, etc. 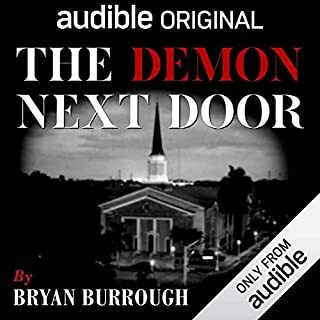 Will Damron's narration of this book is outstanding. The characters really start to open up and show themselves. The Nut Job in this one is more elusive, which is really great. Cant wait for the new one!! I love Theo. More please! I have really loved both the books in this series. Andrew Mayne is smart, creative, and dark. Nothing was obvious. I never knew exactly what was going to happen, and I don't mean to toot my own horn, but I'm usually pretty good at that. There is very little suspension of disbelief in these books, and rarely do you find that in mystery/suspense/horror fiction. I haven't looked forward to another novel in a long time. Can't wait to see what's next. Great plot and story moves along nicely. I enjoyed this a lot more than the first book in the series. Excellent writing. This is my 2nd book by Andrew and I am very impressed. I love the in-depth insight into the characters and his poignant use of his background to make the puzzle unfold. This would be an excellent tv series! I really hate the direction Mayne has taken book 2 in the series. Horrible violence that centers on murdered children and science that just doesn't add up or make sense in terms of reality. I regret that I listened to any of this book. 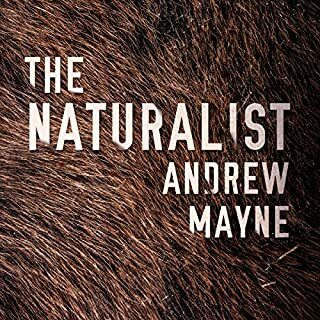 I really liked the first book I read by Andrew Mayne: The Naturalist. I have eagerly awaited this follow-up and pre-ordered it as soon as possible. I found this sequel to be beyond my expectations. Once again on the trail of a serial killer, known to the poor young children on the playgrounds as 'The Toy Man', but which parents, police and even therapists dismiss as either a dream, nightmare, a movie villain, urban legend or imaginative, Professor Theo Cray takes us on a interesting hunt and journey through many states. We learn about Coroners labs, biological labs, government alphabet agencies, and more, all while trying to stop more of these children from becoming a victim. The spookiness is here in good measure. I found myself sitting upright in my bed, covers clutched in my hand under my throat, earbuds in, not daring to move, barely daring to breathe, at more than one place in the book, for fear of what, I'm not sure. Surely the elusive, non existent, and impossible to find Toy Man was not here, in Maine? Or was he? Needless to say, I really liked this book, if possible, more than I did the first one. I am not someone who scares easily, and I can't ever remember being scared as I described above in my entire life by a book. 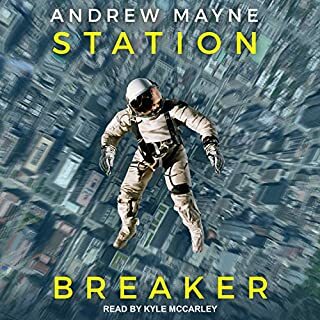 Andrew Mayne is a very unique and wonderful author. As far as the narrator goes, for the first few chapters, I wasn't sure I was going to like his voice. However I paused the audio book, thought about it, and told myself that he is someone I've never heard before, it wasn't that he was bad, just unfamiliar, and to give him a chance. I am glad I did because soon enough he became a part of the background, seamless and oh so very good for this story. I recommend this book to anyone who loves a good mystery, who likes to learn, to think outside the box, heck, you can just throw the box away because you will not even need it with Theo Cray, anyone who likes a rebel, and who likes to cheer for the good guy. Write faster Mr. Mayne, please. We need more books about Theo Cray, his unusual and interesting methods are like a deep clean breath of fresh air. I don’t write reviews but these two book were great. I’m going to follow this author work.